Bruce Malcolm Laird (born 21 November 1950, in Mount Lawley, Western Australia) is a former Western Australian and Australian cricketer. He was an opening batsmen who played in 21 Tests and 23 ODIs. He also starred in World Series Cricket. Bruce Laird represented his home state of Western Australia in Sheffield Shield cricket, making his debut in February 1973 aged 22. He opened the batting against a strong Victorian bowling line-up including Alan Thomson and Alan Hurst. Laird was dismissed early in both innings scoring 3 and 16. Western Australia won by 3 wickets and went on to win the 1972/73 Shield. Laird would not force his way into the first XI in the 1973/74 season but would become the regular opener in the 1974/75 season. His first century came against New South Wales in just his fourth first-class match. He scored 117 in a first wicket partnership of 203 with Wally Edwards. His second hundred was scored against Queensland, he scored 127 before being run out. In eight matches he scored 703 runs, joint top of the charts with the great Greg Chappell, at an average of 46.86 scoring two hundreds and four fifties. Laird's excellent season was rewarded with a place on the 1975 Ashes Tour to England. He did not play in any of the Test matches but did play in nine first-class matches against the County sides. He scored 488 runs in 9 matches at an average of 32.53, with a top score of 127. He was unlucky not to be picked for the first Test match having made 207 runs in three County matches. However the selectors backed Alan Turner who had made 156 against Kent in the first County match and Rick McCosker. The decision proved correct as the Australians thrashed England at Edgbaston by an innings and 85 runs. Despite only scoring 359 runs in the first innings, Australia bowled England out twice for 101 and 173. McCosker then cemented his place in the side with back-to-back hundreds against Sussex at Hove. 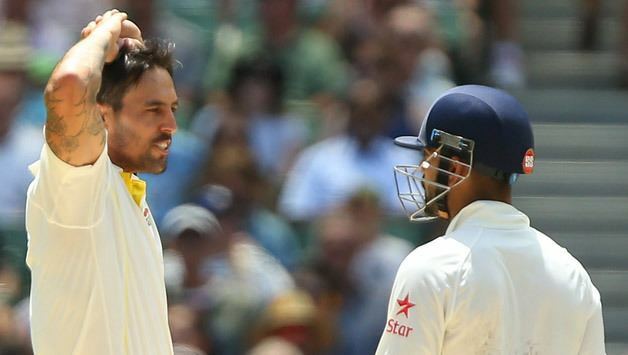 The remaining tests were all drawn and Australia retained the Ashes with a 1-0 series win. The following season with Western Australia was a disappointment for Laird. He played all eight Shield matches but scored just one hundred and averaged only 28.07. His side struggled with the bat with no player scoring more than one hundred, but with top fast bowlers Mick Malone and Dennis Lillee they managed to win four matches. Bruce Laird was signed up to Kerry Packer's World Series Cricket in 1977. He was a star of the tournament playing in 13 Supertests. 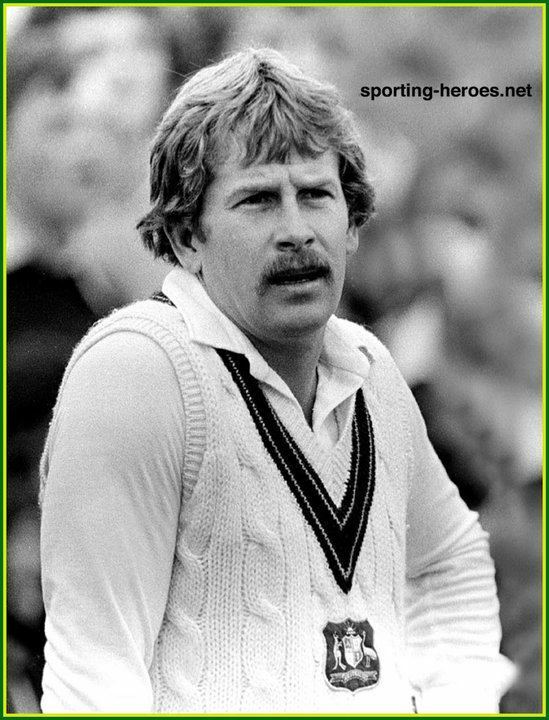 In four 1977/78 Supertests Laird scored two hundreds, the first in the 3rd Supertest against the West Indies at Football Park, Adelaide. His score of 106 helped the Aussies to a 220 run win. He scored 106 again in the first innings of the first Supertest against the World XI at RAS Showground, Sydney, although he made just six in the second innings as the Australians lost by 4 wickets. The second season of World Series Cricket was not as successful for Laird. He did not score a century, although he did play in all four of Australia's Supertests. He did enough to be selected for the lucrative WSC Tour of the West Indies. There he played in all five Supertests, scoring one century, 122, in Australia's win at Queen's Park Oval, Trinidad and Tobago. The series was drawn 1-1. After Packer reached a deal with the cricket authorities the Australian WSC players returned to their State sides and were once again available for international selection. Having played well during WSC Laird was selected immediately for the Australian XI to face the West Indies in 1979 at Brisbane. He scored 92 and 72 in the drawn match. All but three of the Australian XI had played WSC, Allan Border, Kim Hughes and Rodney Hogg those who did not. Laird scored 69 in the second innings of the second test however the Australians were thrashed by ten wickets. Another fifty followed in the third and final test however the West Indians won convincingly again by 408 runs. Alvin Kallicharran, their only non-WSC player, scored a match winning century. This test series was run in the same format as Packer's Supertests with matches played between three sides, England also featuring. In the two tests Laird played against England his top score was 74 in the third test. Australia beat England in all three matches. Alongside the test series against the West Indies, the first World Series Cup was played. The tournament was the spin-off from WSC and followed the same triangular format, England again being the third team. Laird played his first ODI against the West Indies on 27 November 1979 scoring 20 from 38 balls as Australia won by 5 wickets. That would be his top score in the tournament as Australia did not qualify for the final. This was a busy time for the Australian international cricketers as a tour to Pakistan followed in February 1980 just days after the conclusion of the third test against England. Greg Chappell led the side and Laird partnered Graham Yallop at the top of the order in the first test in Karachi. The Pakistan side featured seven former WSC players and defeated the Australians by 7 wickets. It was in Karachi that Laird passed 500 test runs. Having gone 1-0 up the second test was played on a typically dead Pakistani wicket designed for a draw. Australia scored 617 from 211 overs including a double century from Greg Chappell, but Laird missed out bagging a duck fourth ball. Predictably the third test at Lahore also ended in a bat dominated draw with Julien Wiener opening with Laird for the second match scoring 93 and Allan Border a patient 150 from six and a half hours at the crease. After the tour to Pakistan, the Australians went to England to play the second Centenary Test match at Lord's. The match was not as exciting as the first Centenary Test in Melbourne in 1977, ending in a draw as a Geoffrey Boycott (128 not out) inspired England refused to chase 370 in a day finishing on 244 for the loss of just three wickets. The long period of international cricket was broken and Laird was afforded the opportunity to return to regular Shield cricket. He played 6 matches in the 1980/81 season opening with the young star Graeme Wood, his opening partner in the Centenary Test. Wood had the better season scoring 542 runs to Laird's 209. Despite Western Australia winning the Shield that year, this poor form saw Laird dropped from the Test side and replaced by his teammate. Wood was then selected for 25 consecutive Test matches and would continue to feature in the side until 1992, scoring nine hundreds in his test career. Laird missed three test series against New Zealand, India and the famous Ashes series in England in 1981. But would earn a recall to the test side for the home series against Pakistan, thanks to a bright start to the 1981/82 Shield season. A score of 110 not out and the continuing success of his partnership with Wood, convincing returning captain Greg Chappell to call on him again. Laird was picked for the next twelve tests to partner Wood at the top of the batting order. They started well against Pakistan averaging 65 runs for the first wicket in the three test series, with a best of 109. In the opening test of the summer held at the WACA Ground, Laird was one of seven Western Australians selected in the Australian Test team, alongside Wood, Kim Hughes, Rod Marsh, Bruce Yardley, Dennis Lillee and Terry Alderman. It was in the 1981/82 World Series Cup that Laird would score his only international century, 117 not out against the West Indies. Back in the Test arena, Laird and Wood averaged 43.1 as a partnership, with two century partnerships and six of fifty or more. However Australia were not performing well and the selectors wanted changes. It happened that Laird was dropped after a 3-0 whitewash defeat against Pakistan in 1982 and never regained his place. He ended his 21 Test career having never scored an official Test century, with the three he scored in the Supertests never being officially recognised. Of the players who haven't scored a Test century, Laird has scored more runs than any other Australian opener and has the highest batting average amongst players with more than 1000 Test runs or more than twenty innings batted. Laird continued to represent Australia in ODIs until his final game in Pakistan in October 1982 when he scored a 91 not out in an unsuccessful run chase. After being dropped by Australia Laird's Shield form improved. In 1982/83 he scored 610 runs (ave. 40.66) and Western Australia won the Shield in the final against New South Wales. Western Australia completed the double winning the MacDonalds Cup against New South Wales by four wickets. In 1983/84, he spent most of the season batting at five. Laird smashed 684 runs at 48.85 and captained Western Australia for the first time in Shield cricket against South Australia at Perth. 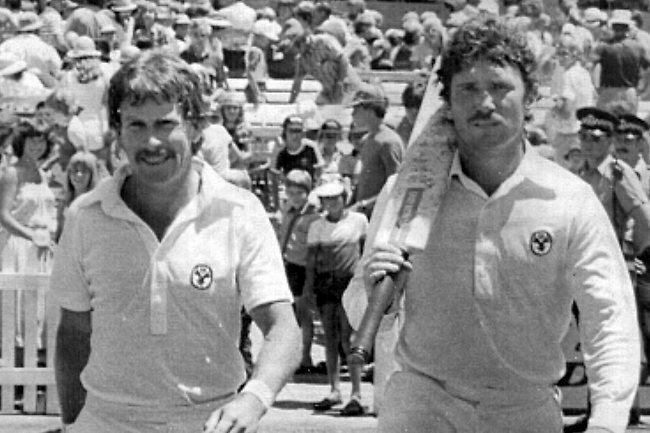 Bruce Laird bowed out of professional cricket by winning another Shield title defeating Queensland in the 1983/84 final, finishing with scores 63 and 54 as Western Australia won by four wickets.